This topic contains 27 replies, has 7 voices, and was last updated by porsche917 4 months, 3 weeks ago. 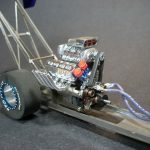 Analog models without magnet + stock everything (wheels, motor, gears, etc).– CG Slotcars Carrera guide adapter + Slot.it wood guide.– NSR 5230 Supergrip (20.5 x11) rear tires + Stock front tires.– Polarity switch can be removed and wiring replaced.– Chassis sanding is allowed for float but gap should not be larger than the thickness of a credit card. This topic was modified 1 year, 1 month ago by Radial TA. Notes on the CG Guide Adapters: The ‘Standard’ size fits the BMW and Ford-GT. The large size can fit if sanded down. I recommend sanding down the adapter, not enlarging the chassis hole, (b/c a replacement adapter is easier to get than a new chassis). Reference Ary’s video. Warning: It does Not take very much sanding to make the large adapter fit. Be sure it slides in easy, without warping from forcing it. Also: These are 3D printed items and the track facing part of the adapter has a rough finish that needs careful sanding to smooth it. Removing Rear Magnet: The magnet behind the motor is held in with a U-shaped clip. Try and pry it out with a small flat-blade screwdriver. If it sticks, you can very very very carefully pop out it out from the bottom of the chassis by placing the screwdriver on one side of the exposed part of the magnet and popping it with your palm. Carefully! Ary – in the BMW M6 GTLM, the chassis wells for the front body screws bulge into the wheel well, these may interfere with Slot.It wheels – when trying to fit them into the wheel-well so the tire is not visible outside the fenders/wells. Can we flatten the round part of the screw-well that protrudes into the wheel-well? It’s basically a minor filing operation with a emory board (no major loss of chassis material and hence weight). As of Saturday July 21st, Steve is the series manager for the Q4 Carrera GT series. Congrats, Steve!! Interesting. Steve doesn’t look Brazilian. Good luck to him. Looking forward to it. Steve, I am not sure about what would be the best way to describe it in the rules but need to add that we allowed the removal of the “cup” portion of the mounting posts. 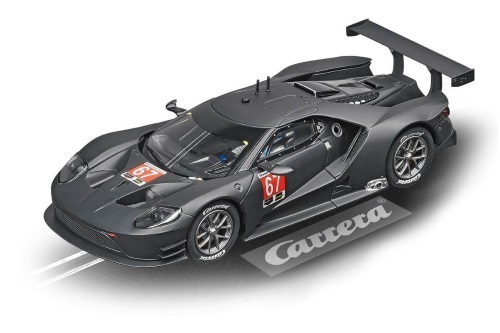 Hey all – planning on joining the group for this series – looking over the cars that are allowed, I’m planning on picking up this version of the Ford GT (Carrera 1/32 Evolution Ford GT Race Car #67) and then being brutally trounced my first few races. 🙂 If there’s any reason this won’t meet the requirements, I’d appreciate a note. Hope to make it out to the Rally event to meet some of y’all. First off, welcome!! Yes, the Ford GT is an allowed model to run in the series. Bring it by on a Saturday and we can answer any questions you have about the series. – Rear Wheels: Stock Carrera or Slot.it’s (or similar) ‘17.3 x 9.75 mm’ short hub alternatives. I am having a devil of a time finding 17.3×9.75 in stock anywhere. I have found a 17×9.75 (and easily found 17×10). Does the “OR SIMILAR” item in the rules allow for slight differences as long as the wheel has a 15mm hub and the tire measures 20mm diameter in tech? This reply was modified 7 months, 1 week ago by StabnSteer. The common wheel to use is the Slot It 17×10 in either aluminum or magnesium. You can use a Slot It F30 tire in 20×10 or a BRM shore 25 in the 20×11 size. Either of these tires will work. The Slot It tires are far more consistent and provide good grip. The BRM tires are a little wider but do not always perform well. I will have all of these items at the track this Saturday if you are planning on being there. I can also show you some other tips for better performance. So upon reading the rules and then reviewing the current setups of the members at the club who had cars there. John has CB wheels Randy has Scaleauto wheels and Mark has CB design wheels. All of them are “similar”. I have decided to change the rule to be simply 17×10 mm max. I hope this does not ruffle any feathers. This reply was modified 7 months, 1 week ago by Mitleid. Are Ninco N80754 PRORACE EVO 3 Wheels 17.4 x 10.2mm hubless with realistic spokes allowed?